See this face? This is the face of a REAL LIVE HERO! 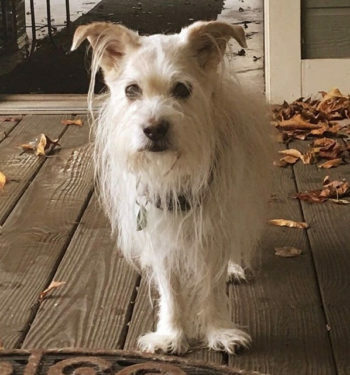 His name is Austin, and he and his family went out of their way last Sunday night for some strangers (us) that lived nearby to help us find our sweet buddy, Charlie (a 15 year-old deaf terrier). Charlie had gotten spooked by some unfamiliar faces that were trying to take care of him while we were out of town for the weekend, and he ran far away into unfamiliar territory. 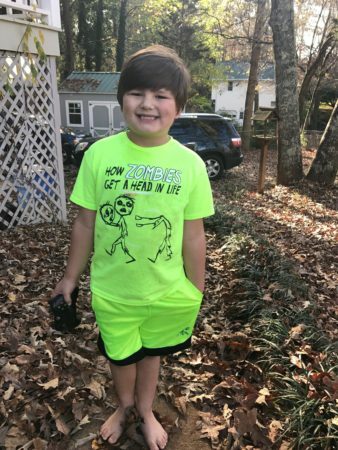 The temporary caretakers (my husband’s parents) were so scared of what could’ve happened to Charlie, but thanks to Austin and his kind family (who searched in dark woods with flashlights) Charlie was safe and found! I am so grateful to my in-laws, my neighbor- Burt, and Austin’s family who all played a part in Charlie’s rescue! I sure do love our little city of Ball Ground and the people who make it such a sweet place to live!